What are two of the most important, but also hardest to find skills among MBA graduates according to Dutch employers? 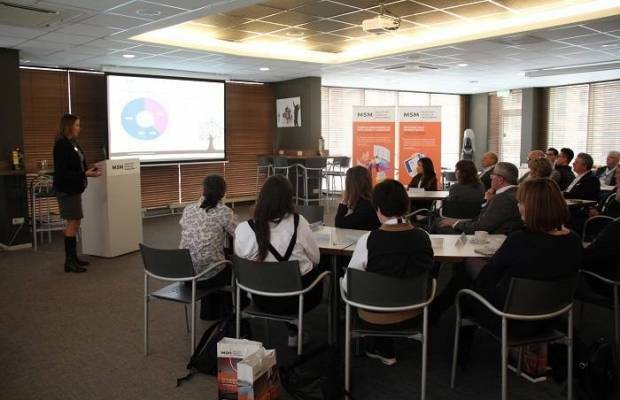 In a survey conducted among 250 respondents, including 151 companies, in the Netherlands in November 2018, the “ability to solve complex problems” and “creative thinking” stood out as the most desired competencies that Dutch companies are looking for when hiring new employees. 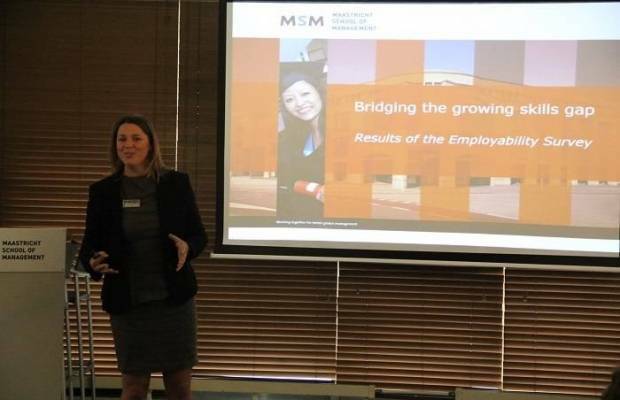 “The challenge for business schools is to deliver MBA graduates who are capable of showing that they possess these skills,” said Ms. Hermina Kooyman, Manager Enrollment and Career Services at Maastricht School of Management, who carried out the survey for her own MBA degree on the “Employability of MBA graduates in the Netherlands”. “One way to achieve this would be to involve the business community more in the development of the curriculum and specific skills, and to increase interactions with companies as part of the MBA curriculum,” she explained. Ms. Kooyman presented the results of her study during a symposium on “Bridging the Growing Skills Gap - tailoring higher education to meet the needs of various industries”, on 24 January 2019. 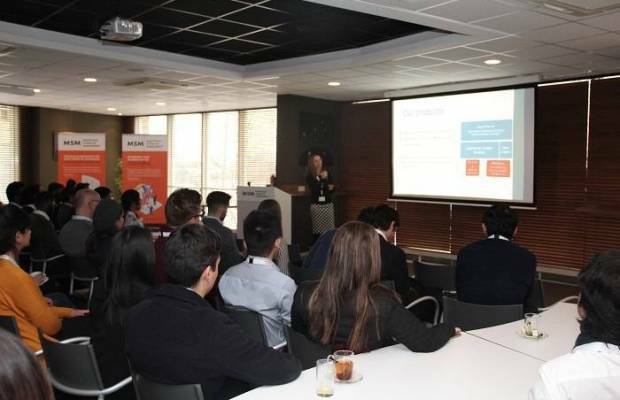 “I wanted to share my findings with the companies who participated in my research project and to give them the opportunity to meet and interact with our current students,” she said. The results of the study can also be found here. In the morning session, representatives of five different companies – Corporis Medical, Arion, CGI, Mine Kafon Lab and Nike – succeeded each other in presenting their businesses and in describing the types of talents they are looking for in the job market. The words “co-creation”, “collaboration”, “social skills”, “partnerships”, kept coming back throughout the presentations, much more often than specific theoretical knowledge. “We sell solutions, not products, and we can only do this if we work and smile together along the innovation journey,” said Mr. Fabian Groven of Arion. Mr. Nico van Buggenum of CGI stressed the importance of having a motivated staff: “Our employees are shareholders of the company, and are valued for their capability to learn combined with analytical and social skills.” For young start-up companies, the challenge is to work with a distributed business design: “It is very important for us to collaborate with local partners with whom we can grow together,” said Ms. Sanna Severins of Corporis Medical. The around 70 MBA and Master in Management students present in the room gave their full attention to the various speakers and asked questions after each presentation. Not surprisingly, many of the students, having a foreign background, were curious to know whether the companies’ future plans included establishing partnerships in developing countries, or with NGOs. 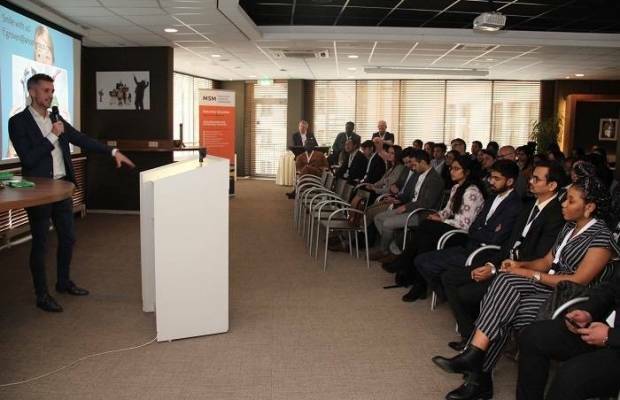 Others were interested in internship opportunities, as a way of acquiring working experience in a Dutch environment. For Dutch employers, the fast changing and increasingly globalized work environment is making it harder to find employees who match the needs of the market. “Up to 67% of larger organizations struggle to find the right talent and report that this talent shortage is increasing every year”, according to a 2018 Manpower study quoted in the employer survey. In this context, companies can benefit from taking a closer look at their image as employers, said Senior Lecturer of Marketing & Strategy Oliver Olson as he introduced a special workshop on employer branding. Challenging the participants to become students again, he invited them to read and discuss the case study of the company Amazon, which received disastrous negative media coverage on its work practices a few years ago. Mr. Olson described the video clip shown by Mrs. Evelyn Ulens and Monique Van Alphen of the Nike company earlier in the morning as a good example of controlling one’s employer brand. “I could see many of our students starting to salivate to go and work in that free-style environment that you promoted in your video clip, regardless of the product,” he said. Similarly, the presentation by Ms. Ieva Jakstaite of the Mine Kafon Lab appealed to many in the audience. The company is driven by a two brothers’ dream of a landmine-free world and welcomes any talent who wants to be part of this dream.